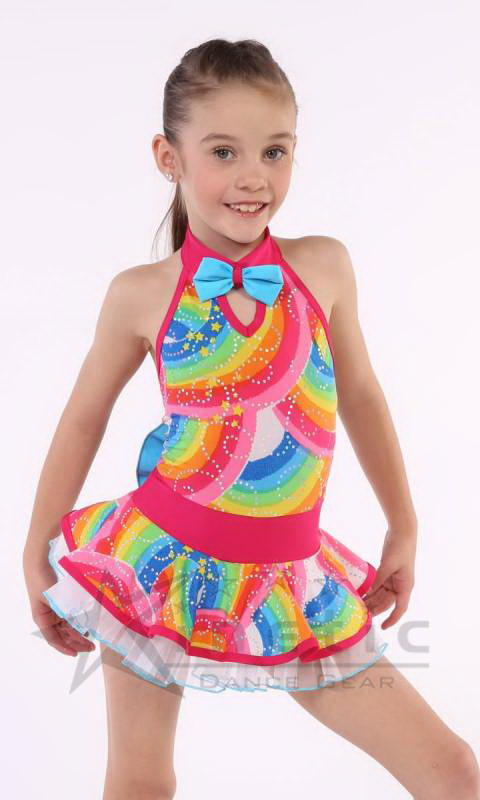 Rainbow bodice and skirt. Pink band, shorts, collar and binding. Blue bow at back, collar and two hair bows on clips. White tulle with blue babylock.